The Oregon Department of Agriculture (ODA) and the Oregon Department of Fish and Wildlife announce the opening of razor clam harvesting on the Clatsop County beaches. Razor clamming is now open from the Columbia River to Cape Blanco (north of Port Orford). Recent shellfish samples taken from the area indicate levels of the marine biotoxin domoic acid have fallen below the closure limit. 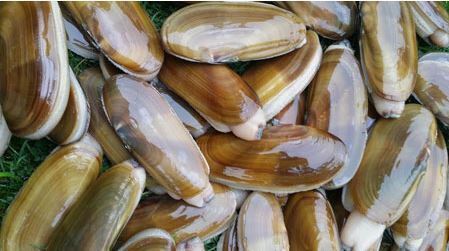 Razor clamming remains closed from Cape Blanco to the California border for elevated levels of domoic acid toxin. Mussel and bay clam harvesting are currently open along the entire Oregon coast. For more information call ODA’s shellfish safety information hotline at (800) 448-2474, the ODA Food Safety Division at (503) 986-4720 or visit the ODA Recreational Shellfish Biotoxins Closures webpage.